Elijah Cho is a sophomore in South Forsyth High School and is very grateful to be able to be in the Journalism group once again. Despite deciding to fully focus on academics instead of joining marching band this year, he’s still doing his best to push through the difficult classes in his second year like AP World History. He loves to write short stories in his free time while listening to video game and anime soundtracks like Professor Layton or Undertale (when he’s not too busy obsessing over character design or plot development). Either that, or you’ll simply find him watching Psych, Youtube, or anime. As you can probably already tell, he’s an enthusiast for music of many kinds, whether he’s listening to 80’s music, metal, classical, or playing the piano or trumpet. 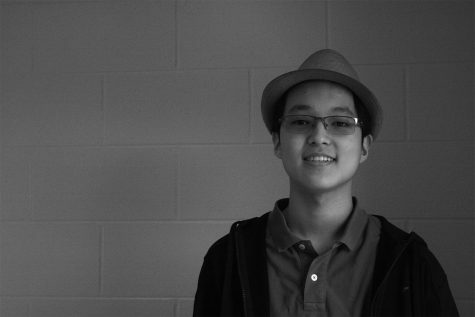 As this is his second year of high school, he hopes to be able to have more new experiences including Mock Trial. Although this is his first year in Journalism as the Opinion Sections Editor, he hopes he will be able to write many good Opinion articles and be a good contribute to the team and its newcomers. Check him out on Twitter @TheCho_senOne or contact him at [email protected].